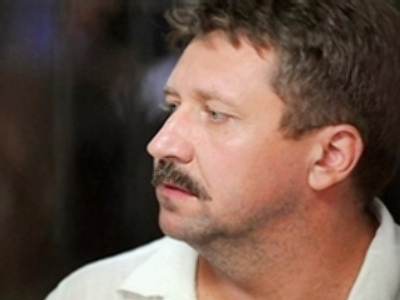 A group of congressmen addressed the new U.S. administration with a request to make the ‘delayed’ extradition of Russian businessman Viktor Bout from Thailand to the United States a priority in U.S. – Thai relations. Why does the U.S. want Bout so much? What is his role in America’s War on terror, which, besides evident military actions, has shown the world a great deal of media spin? Douglas Farah, one of the two authors of the book ‘Merchant of Death’, immediately joined the chorus with a column posted on a counterterrorism website. He writes there matter-of-factly that Bout ‘armed the FARC before.’ The FARC, or the ‘revolutionary armed forces of Colombia,’ is a left-wing guerilla force fighting against the government of Columbia, notorious for funding its struggle with cocaine trafficking and branded a terrorist organization by the U.S. congress, while it is not on the terrorist list of the UN which it trying to achieve reconciliation in the Colombian civil war. The information about Bout’s alleged past dealings with the FARC also appeared in some other publications simultaneously or right after Farah’s column. I have been monitoring the case from day one and probably have read all and everything published on Viktor Bout in English, Russian, and Thai in the past fifteen years. What I know for a fact is that Viktor Bout has never been to either of the two Americas – Northern or Southern, and that before this month no one among those who wrote about him, including Mr. Farah, ever mentioned his alleged previous experience with Columbia and the FARC. It so happened that I became involved in the Bout case not only in my journalistic capacity but also as a consultant of his Russian lawyers on the Thai legal language, and even as a stand-by second interpreter at the court hearings. It may make me a biased reporter – in the sense that I stand too close to Viktor’s interests at court. For those who can live with that I say: this unique position gave me an opportunity to find out for myself and for my audience quite a few facts that, put together, show the whole story in a very different light than that of the official DEA reports and extradition requests. I am not going to repeat every step of the way here, let those who are interested in more details find them in my four previous columns on the matter, published on this website. 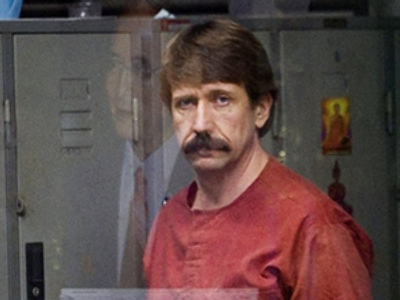 1)	Viktor Bout has never been one tenth as big as the DEA and Hollywood are making him. 2)	There is no evidence whatsoever that Viktor Bout ever sold armaments, but there is a plenty of papers documenting his role as a once very successful air transporter of various kinds of cargo, all of it on contracts with legitimate governments that existed at the moment of issuance of the documents. 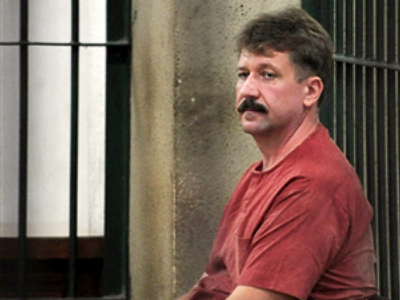 3)	Viktor Bout spent the seven years before the Bangkok arrest (meaning 2001 – 2008) openly living in Moscow with his family, leaving the country next to never, doing legitimate small-scale business unrelated to aviation, all that after having closed his own companies abroad and sold most of the aircraft to other air lines. All that – after the 1999 UN report, that had branded him violator of UN embargoes, ruined his business. 4)	During the same period (2001 – 2007) the U.S. intelligence community (I would say some least professional parts of it) ‘followed his trace across the globe’ and ‘acted against his empire’ while the media, led by such ‘gurus of investigative journalism’ as Douglas Farah, constantly recorded their ‘progress’ and finally spun the Viktor Bout story to the Hollywood proportions it has today. 5)	Bout’s arrest was based on a sting which, unlike the average narcotics sting, produced no hard evidence (no drugs, no money, no weapons, no pictures of any of the above, no mentioning of any of the above in hard copy or electronic form). 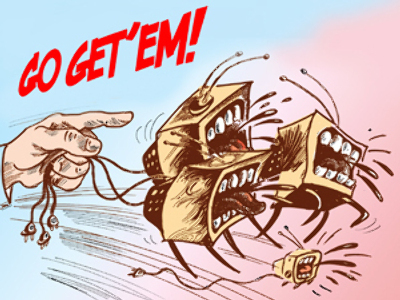 Even the DEA tape, recorded illegally in Thailand, can hardly add much to the substance of the case: if phrases like ‘America is my enemy too’ could qualify, half of the world in the olden Bushy days could have been prosecuted. The U.S. is just beginning to gain back its appeal. For nearly a decade the international image of America was not very pleasant. I guess the domestic image of the government was also quite… dubiYaous. 1)	No one in the immediate circle of Viktor Bout’s relatives and friends has a million U.S. dollars to spare. 2)	At the moment of his arrival and arrest in Bangkok in March 2008 Viktor Bout was in debt (he had taken loans for his new agricultural project) and that, as the reader surely understands, hasn’t changed much in the past eleven months which he spent in Bangkok’s Klong Prem prison. 3)	The Russian government hasn’t spent a single cent – officially or non-officially – on the case of Viktor Bout. 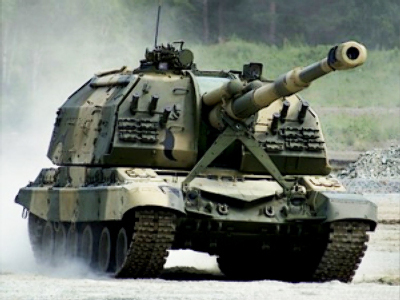 I’m not going to die of modesty, as we say in Russia, so it’s OK for me to say that: I am a Thailand expert and one of the best-connected Russian journalists in South-east Asia, so if someone in the Russian government or private sector starts pushing millions through any system in Thailand, I usually catch at least a whiff. But I’m getting none about any Russian giving million U.S. dollar bribes to anyone in Thailand. And, besides, I hear differently. I do not know who Mr. Farah’s sources are, but mine is pure hearsay: they say some officials of the U.S. embassy, through their local contacts, have been bribing some Thai legal officials. I hear the U.S. taxpayer money given to those unscrupulous Thai officials, amounts to hundreds of thousands in U.S. dollars. Then again, it may all be lies and there’s no way to check. What I know for sure is that the prosecutor who, by an unfunded request of DEA officials in Bangkok, initiated the case against Bout under Thai law – the case that had to be dismissed two weeks later for a total want of evidence – is now unavailable for lawyers’ questioning because at the moment he is continuing his education in the United States of America. It could have been funny, if not for the man who has so far spent a year in a Thai jail as a result of this wild goose chase. The book, ‘Merchant of Death,’ that Douglas Farah co-wrote, gave me one hint at what may be really happening. An article in the January issue of Men’s Journal, dedicated to the law enforcement career of DEA Agent Michael Braun, the mastermind of the Bout operation, gave me another. From the book I learned how in Clinton times people in the CIA, the State department intelligence, on the White House national security advisor’s staff, worked carefully and thoroughly, analyzing every bit of information coming from telephone intercepts and vague human sources, trying to understand the nature and scale of the Bout operation in 1990s Africa. They were making mistakes but they were correcting them on the way. They were, first and foremost, careful and professional. They knew they lacked solid information and they worked to collect it. The article told me that after 9/11 the DEA, one of the most professional narcotics police units in the world, was given extra powers over terrorism and weapons trafficking cases on the grounds that it had a ready network of foreign bureaus, and that quite often terrorism and weapons trafficking had something to do with drugs. Then the DEA joined the chase for Viktor Bout. It is interesting how immediately after that Victor started gaining media-spun notoriety by the hour, while sitting in Moscow and doing nothing wrong. It is also interesting how Douglas Farah, an investigative journalist who ‘made his bones’ in South America where he investigated and reported many drugs-related stories, often with the help of DEA agents who operate in legions down there, suddenly got very interested in Africa, weapons trafficking and Viktor Bout. The arrest in Bangkok was a typical DEA operation. The problem with it was that sting works perfectly well for drugs – the law enforcers usually get hard evidence: the drugs and the money used in the deal – but doesn’t work for a supposed million-dollar arms deal conducted in a hotel room, with no merchandize or money present. In the case of Bout who was not planning to sell anything except maybe his one remaining 1970s cargo airplane, the DEA, naturally, found absolutely nothing. And still had him arrested by the Thais on the charges which could not stand on their own feet and were later dismissed: exactly in time for the preliminary extradition request to arrive from the U.S. I think that such cases as Viktor Bout’s are more military intelligence and CIA turf. Intelligence officers are supposed to be professionals in such affairs. The DEA agents I know, and I’ve known a few in my 18 years in South-east Asia, are mostly great cops. They do know about drugs and trafficking better and more than anyone else. Once, long ago, I wrote a series of articles on Khun Sa’s operation in the Golden Triangle and the whole politics-opium-ethnic insurgency pot of porridge over there, and I am still grateful to Thai and American narcotics policemen who enlightened me on many aspects of the drugs trafficking problem. But they were definitely not trained in political and international affairs as well as in their police work. They had no need to be. I can accept that in Colombia where drugs are politics, the DEA can be more efficient than other law enforcement and intelligence agencies. 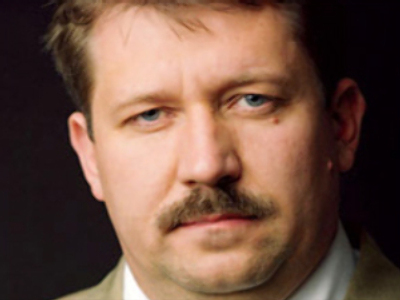 But the fate of Viktor Bout shows that the world-wide anti-terrorism mandate given to the DEA at the height of the War on terror can be abused. First by the media, spinning a suspect in an unfinished investigation into a monster of the illegal international arms market, and then by the top executives of law enforcement outfits, who believe the spin against their own better judgment and launch a crusade to take the ‘biggest illegal arms dealer’ off the street. Yeah, that’s exactly the answer I expected for my question. It prompts me to ask another one: guys, don’t you think that giving the DEA those special worldwide powers against terrorism suspects was, after all, a mistake?